This is .500 Nitro Express Hornady 570gr. 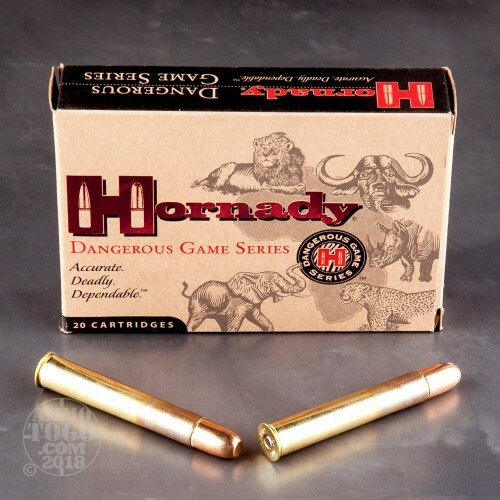 (DGS) Dangerous Game Series Ammo. 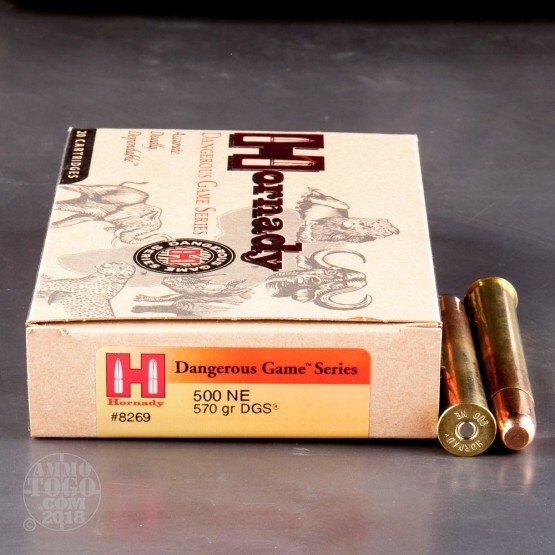 Hornady Dangerous Game Series ammunition is designed specifically for dangerous game. 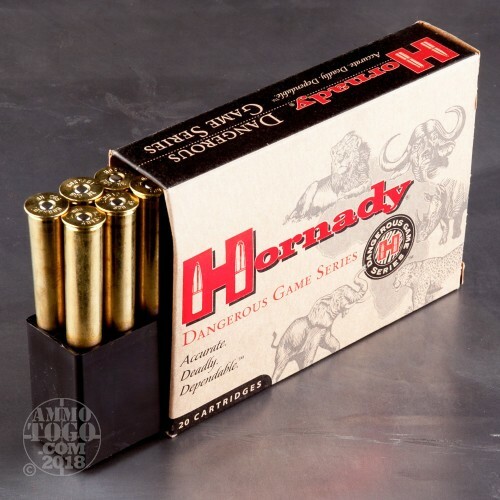 The Dangerous Game Solid bullet features a copper clad steel jacket with a high antimony lead alloy core. The DGS solid projectile will not deform under the most extreme conditions and is designed for situations where penetration could be the difference between life and death. 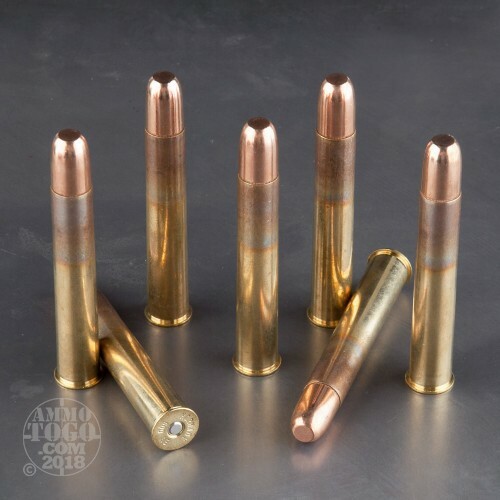 This ammo comes in 20rds. per box.